Linagliptin is an inhibitor of DPP-4, an enzyme that degrades the incretin hormones glucagon-like peptide-1 (GLP-1) and glucose-dependent insulinotropic polypeptide (GIP). Thus, linagliptin increases the concentrations of active incretin hormones, stimulating the release of insulin in a glucose-dependent manner and decreasing the levels of glucagon in the circulation. 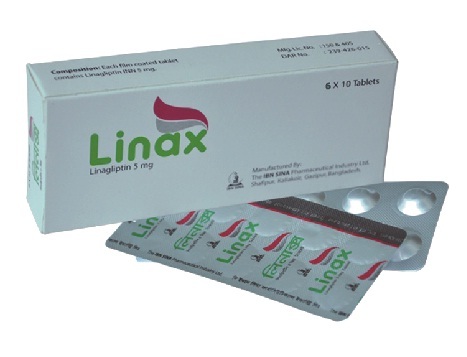 Linax Tablet : Each film coated tablet contains Linagliptin INN 5 mg . Some of the less common side effects are nasopharyngitis, hypoglycemia. When used with an Insulin secretagogue (e.g., sulfonylurea) or Insulin, consider lowering the dose of the Insulin secretagogue or Insulin to reduce the risk of hypoglycemia. If pancreatitis is suspected, Linagliptin should be discontinued. There have been no clinical studies establishing conclusive evidence of macrovascular risk reduction with Linagliptin or any other antidiabetic drug. 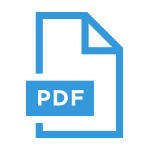 Pregnancy: There are no adequate and well-controlled studies in pregnant women. Linagliptin tablets should be used during pregnancy only if the potential benefit of mother justifies the potential risk of the fetus. Nursing mothers: Caution should be exercised when Linagliptin is administered to a nursing woman. Pediatric patients: Safety and effectiveness of Linagliptin in patients below the age of 18 have not been established. Linax should be stored between 15°C to 30° C.
Linagliptin is contraindicated in patients with a history of a hypersensitivity reaction to linagliptin, such as urticaria, angioedema, or bronchial hyperreactivity. Linax Tablet: Each box contains 6x10 tablets in alu-alu blister pack.